Racial slurs and foul language prompted the abrupt end to a mayoral candidate’s event in San Francisco on Saturday, and on Sunday, the three leading candidates in the race are condemning what was said. 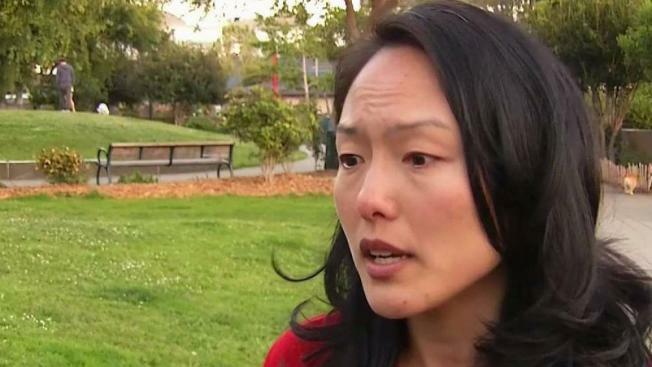 The incident, captured on video, occurred during a candidates meet and greet in the Fillmore district as Supervisor Jane Kim had just finished speaking about affordable housing in city. That's when several London Breed supporters crashed the event. The group interrupted the event, asking where Breed was and then making derogatory remarks about Kim’s ethnicity. "I’m in the world of politics," Kim said in statement Sunday. "I was not personally offended by the comments that were made, and I also won’t stand for campaigns to be divided because of the comments that were made in the heat of the moment." Breed, the Board of Supervisors president, was not invited to the event. But she’s seen the video. "I’ve had attacks of this nature against me as well, and it doesn’t feel good," Breed said. "And I do not support this behavior in any shape or form." The San Francisco mayoral race includes some of the most diverse front-runners in the city's history. Breed is African-American, Kim is Asian-American and former state Sen. Mark Leno is openly gay. "We have enough divisive, homophobic, xenophobic, anti-black comments coming from the White House," Kim said. "We here in San Francisco are better than that." Breed added: "I think what’s most important to do is not focus on what divides us, but focus on what brings us together." Leno also was at Saturday’s event but left before the comments were made. A member of his campaign he too condemns the derogatory comments that were made.